This report follows a brief group study trip to Iceland to examine turf building, techniques and culture. conserve the historic built fabric. Very few new turf structures are being built or commissioned. Those that are constructed are considered art pieces or are built for tourists as a fascination piece. from anywhere around the globe…! context into which people were building. The sites visited are listed below. Landnamssyningin, The Settlement Exhibition – Reykjavik. Aoalstraeti 10. The oldest building in Reykjavik. Nyji Bær, Historical turf house – Holar. 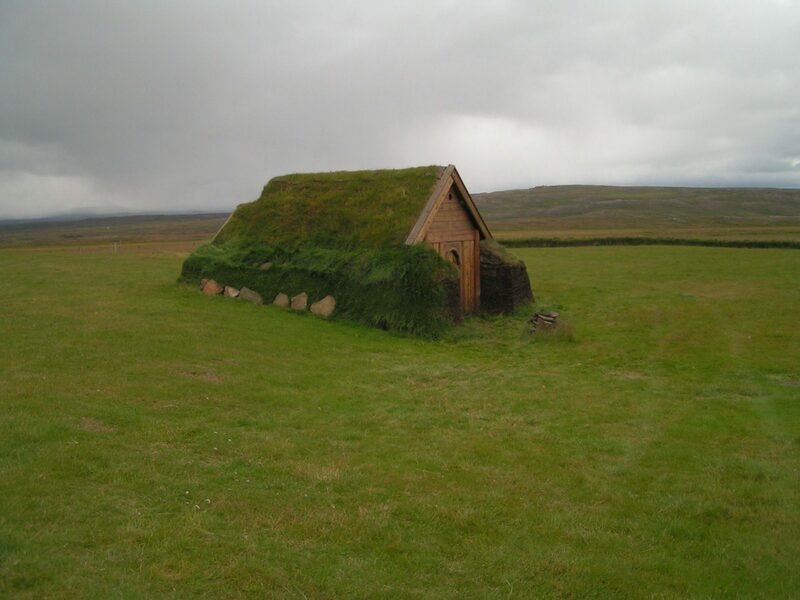 Tyrfingsstadir A Kjalka turf house – site of building. And tour of other turf building on site. catered for which was appreciated after a hard day’s work in the rain. inhabited right up until 1970 and are regarded by those who used to live in them with much affection. mature root system. The type of grassland which is used varies as does the subsoil accordingly. Certain plant types are often good indicators of a good mature turf which may be suitable for building. it dries out but is considered to weather better. repairs works were ongoing and while grass was recovering to prevent excessive erosion of the soils. becoming warmer and wetter this is resulting in acceleration in the degradation in the turf structures. weathers better and has resulted in the survival of more built heritage today. burden be that on the state or private individuals. others appeared to be far more fibrous and like a mat in texture and appearance. formed back to back as an evolution of building as an extension they were often thicker still. some of the early settlers. form the rear wall with the back of the building being cut into the hill side. of the building while also reducing the amount of labour required to construct it. and allowed to root and bind correctly. construct this size of building would have been huge. variation in style and techniques have become more understood and perhaps accepted. people wish to build in this way.